Matilda Wormwood is an extraordinary genius with really stupid parents. Miss Trunchbull is her terrifying headmistress who thinks all her pupils are rotten little stinkers. 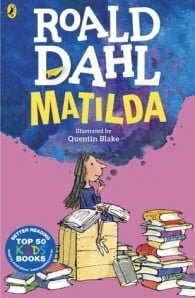 But Matilda will show these horrible grown-ups that, even though she’s only small, she’s got some very powerful tricks up her sleeve . . .